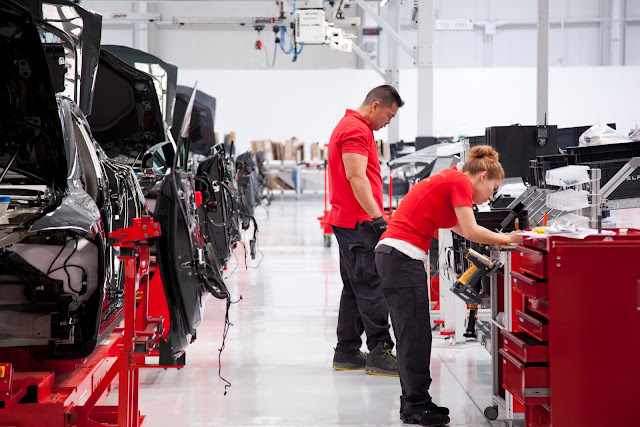 As per new job postings on Tesla's website, The EV manufacturer has begun hiring for its planned new factory in Shanghai looking to fill 14 roles as of current just a month after it inked agreements with local authorities for the planned project estimated to be costing $2 Billion. Roles made available on its website includes architectural designer and senior finance manager positions for the Chinese Gigafactory with several positions in the senior level requiring at least 6 years experience as per the job description. At the company's earnings call this month, Tesla CEO Elon Musk stated of the estimated cost and also made known that the factory aimed at churning out up to 500,000 vehicles a year in about two to three years into production would be funded through the local Chinese debt market. The factory would double the size of its manufacturing output and give the EV maker an edge in the Chinese market as there would be no need for import duties from Chinese buyers who would now get its cars at cheaper prices. The 14 job listings were also posted on Tesla's U.S. English website hinting that some of its hiring may take place outside China. The EV manufacturer notably named former General Motors executive James Zhou just this May indicating of its continued efforts towards establishing a strong base in the Chinese market. With a hinted acquisition by CEO Elon Musk just recently, We'll get to see how Tesla would expand into the Chinese market while working towards maintaining production goals and revenue milestones on the go.